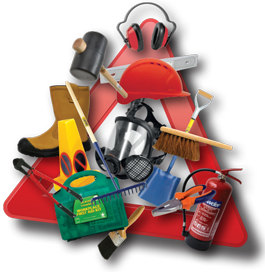 Site Safety Limited was founded in 1995 in Wimborne, Dorset, with the aim of serving the Construction and allied industries via a personal service through dedicated and knowledgeable staff. From humble beginnings, the company has continued to grow without compromise to its initial values, and is now considered a leading supplier of consumable products to Construction & Civil Engineering companies and Local Authorities. Our staff are all highly experienced individuals with an average 25 years service in the industry. As a result, you can be assured that all of your requirements will be dealt with in a prompt and professional manner. From our strategically located, well stocked warehouse and distribution centre in Dorset, we operate our own fleet of delivery vehicles, which enables us to provide a fast and efficient delivery service. This facility means we are in control of your order from placement to fulfilment. We do not impose any cut off times for delivery the following day, in fact, we often take orders in the morning and deliver them the same day!